I can’t believe it’s Friday already. This week went by so fast and I feel like I didn’t get one thing done. I celebrated my birthday on Wednesday and took a little time off to have lunch with a friend and spend some time with my husband. It was a good couple of days (and I think I gained 5 lbs.). Our summer is definitely over here in Illinois. It gets cool enough at night to have the heat on and outside the leaves are turning brilliant colors of red and yellow. We even had some white stuff mixed with rain last Saturday. I’m so not ready for what’s to come so let’s talk about some fun and pretty things that caught my eye this week. 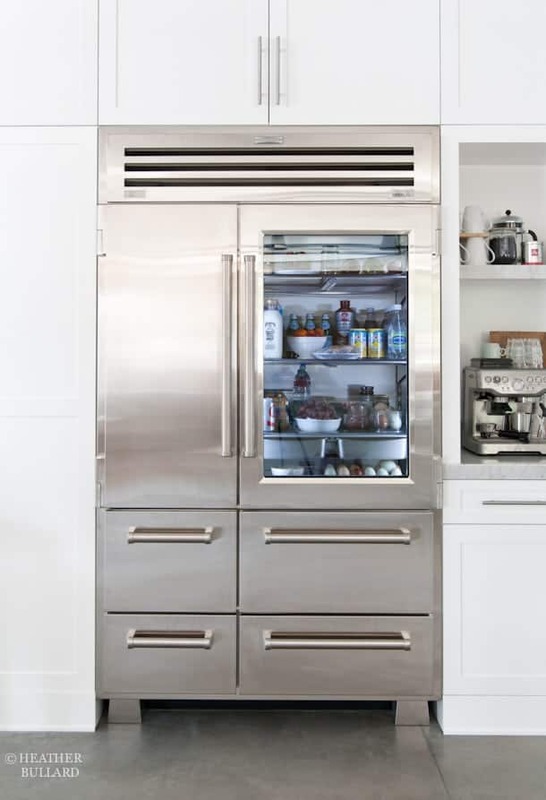 Love Heather’s new refrigerator…would you want a window into your fridge? 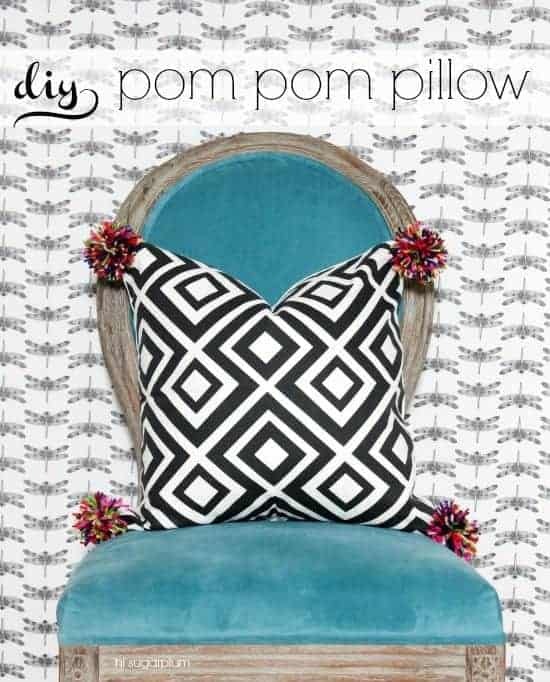 How cute is this pillow. 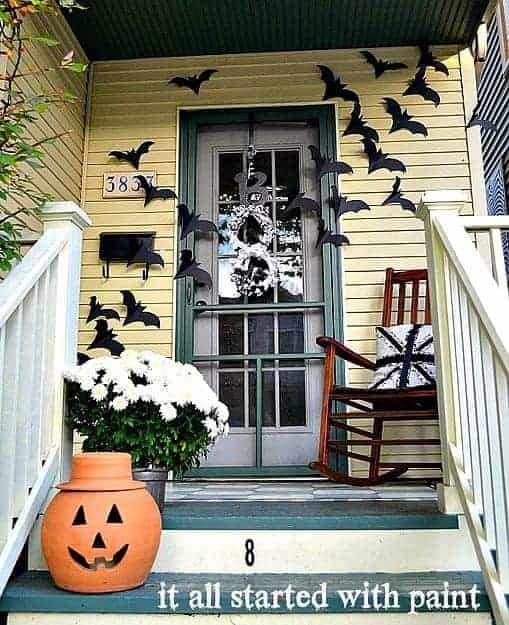 Cute batty porch from Linda at It All Started With Paint. Lots of pumpkin recipes out there but this looked particularly yummy. 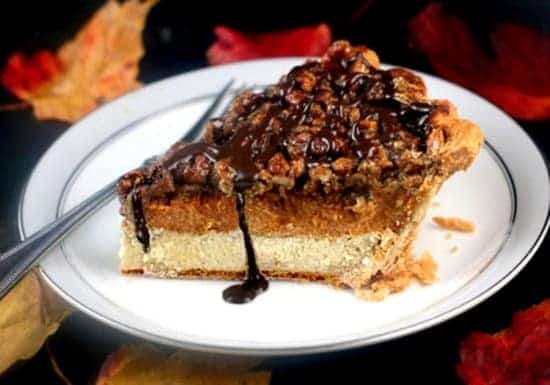 Cheesecake pumpkin pecan pie. I’ll be busy this weekend painting a bed, since I was to busy eating my way through my birthday this week. Do you have any fun plans? 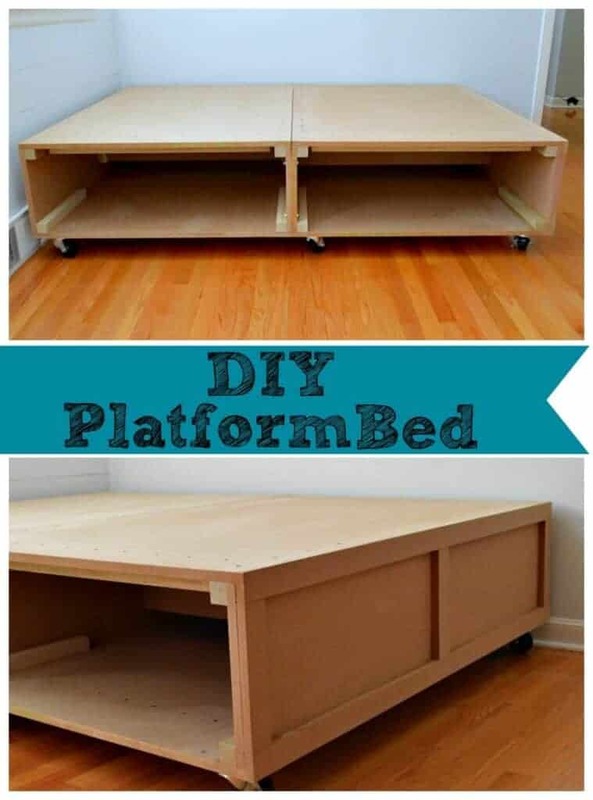 Have you checked out our DIY platform bed yet? Best wishes to you on your birthday! I hope you have a great year ahead. I luv the pantry door! I would copy it in a heart beat, but my kitchen doesn’t even have a pantry ( which makes it tricky to store the food for 5 people – three of whom are teenagers). Thanks so much for the birthday wishes Michelle. No pantry for me either but at least I don’t have kids at home. It must be very tricky to store food. There seems to be a lot of us out there without them. Love the front porch decorations. I am ripping up carpet in the spare bedroom this weekend. Yuk. No way do I want to see what’s in my fridge! I so would love a pantry! Just no room for one. Love Linda’s porch, so simple, but so cute! Trying again to get that tub project started this weekend! Nothing else happening, oh, have to stay away from the stadium area, big Bills football home game Sunday! We live in the same town as the stadium. 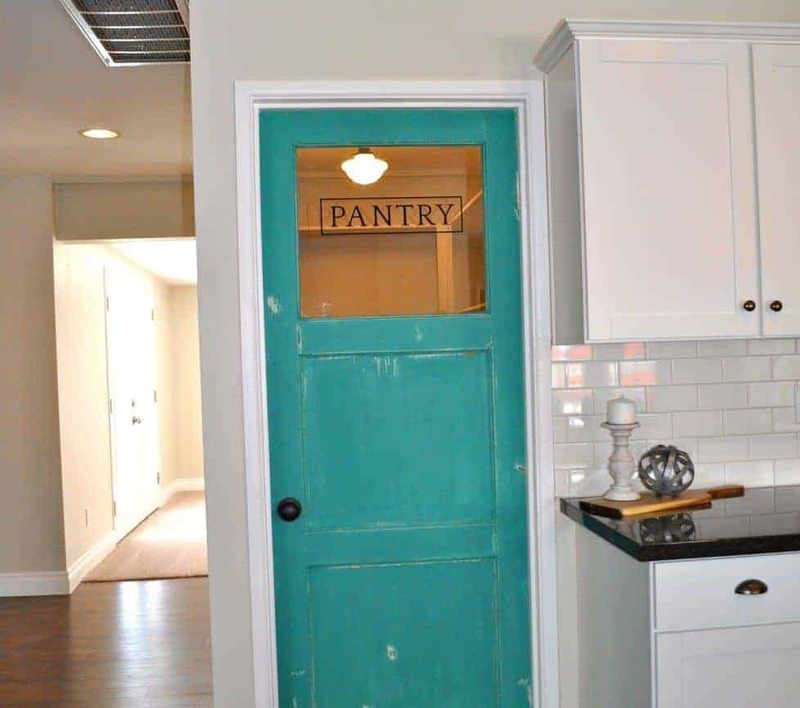 Oh what I wouldn’t do for a pantry with or without a pretty turquoise door. 😉 I hope you’re able to do your tub and not get caught up in the football crowds. Thanks for stopping by. Happy weekend! I am not sure I could stand to see the fridge contents!! We have a great weekend planned seeing our grandsons! It does sound like you are going to have a great weekend Barbara. 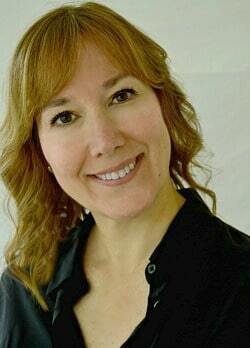 I hope you enjoy your grandsons!